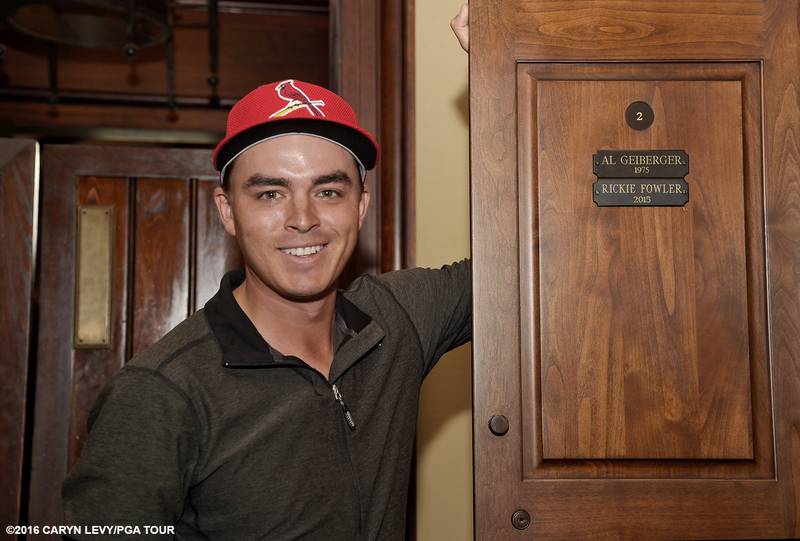 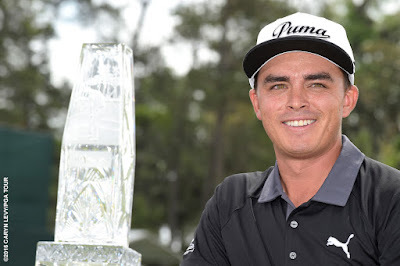 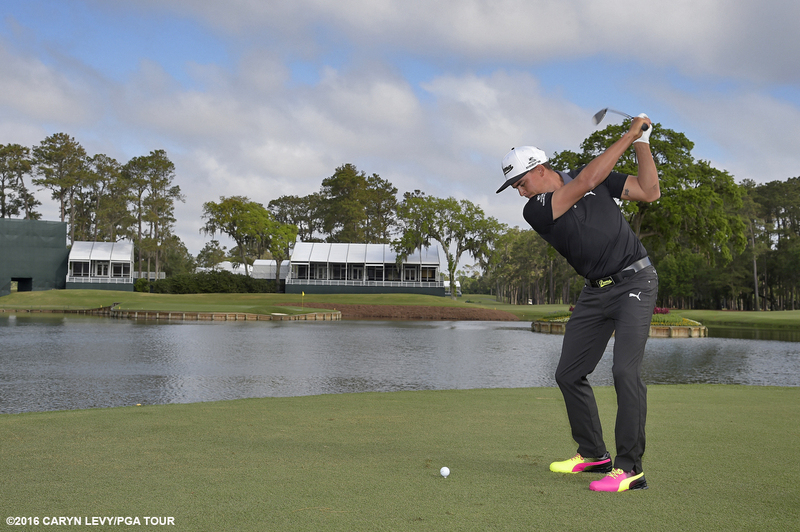 As soon as Rickie arrived at TPC Sawgrass, he got his locker in the Champions locker room. 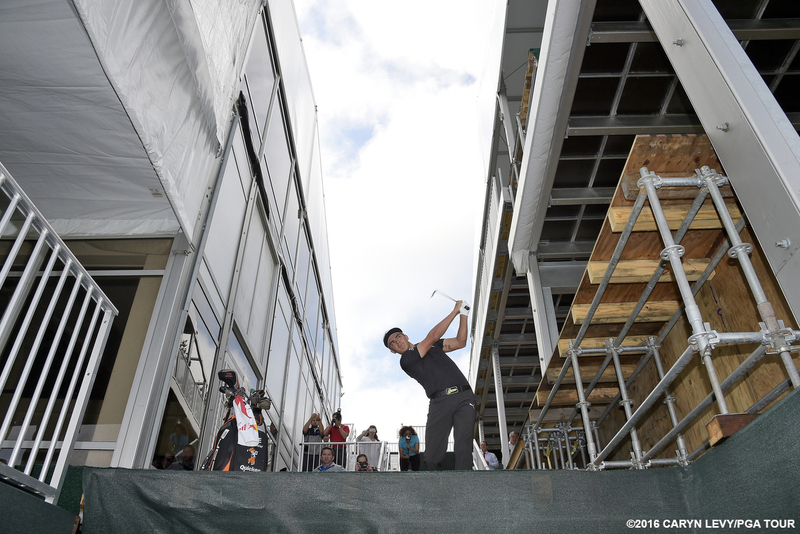 Even though it was still under construction, Rickie hit from the Benefactor deck onto 17. 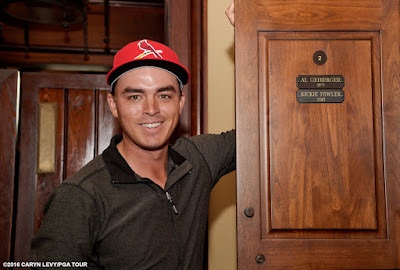 I didn't realize I was photobombing! 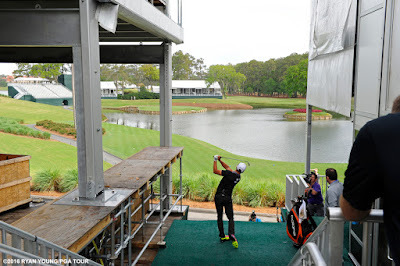 Then he hit lefty on the 17th tee. 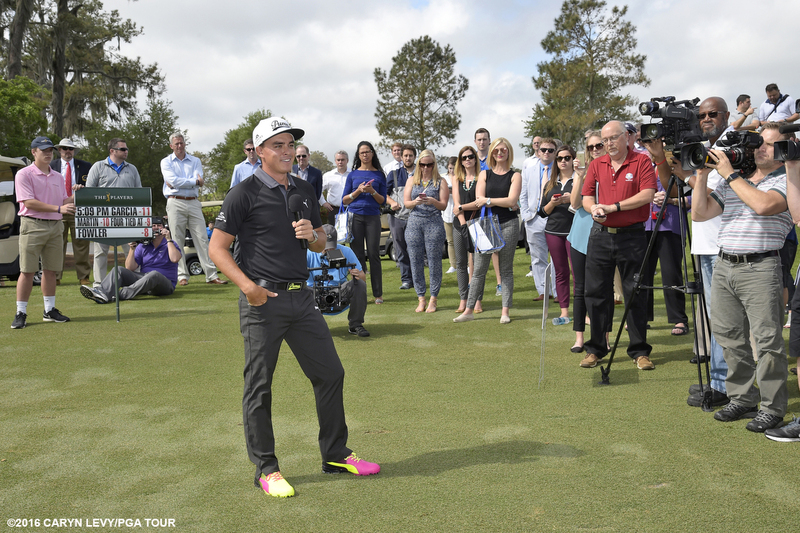 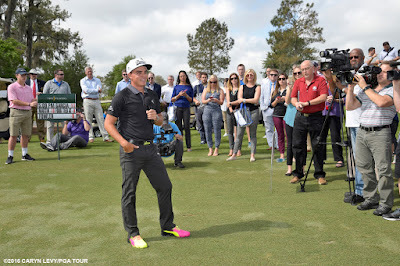 The media bombarded Rickie with questions.